This basically revised financial catastrophe back in 2008, about how millions of peoples lose homes, lose jobs, lose pension saving…all worth 5 trillion. And… that was just USA only. Basically, the actors were playing Wall Street guys. So, their jargon was sometimes difficult to catch. It REALLY helped when scenes were paused for like 3 seconds and flashing *what are their meanings* on screen so audiences like you and me can follow. 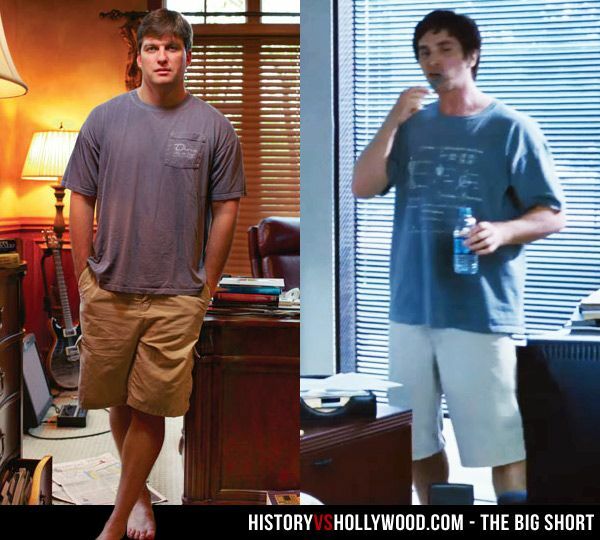 You would be really really fascinated about this physician named Dr Michael Burry (played by Christian Bale). While working as a hedge fund manager of Scion Capital, he noticed an upcoming housing bubble YEARS before. Unfortunately, no one notice about it including rating agencies until the day of calamity. All boiled down to one commodity: WATER. He noticed it and made “bet against” American economy for many many 100x folds before 2 groups of investors; 1) garage hedge fund giddy boys and 2) a senior investor which played by Steve Carell whom always feel that the monetary system was fraudulent and dark but couldn’t appoint where. Those who noticed must not spook the public! I was 15 years old back then. At a boarding school, watching Boys over Flowers. Ignorant. I love drama. I was an active drama scriptwriter and director at high school days and won cups. Man, I missed high school glorifying days. My batch was awesome!! I was most fascinated by Dr Burry’s character whom his natural state is socially awkward. A character of an outlier is like that..like refutable, that Scion Capital investors wanted to bring down his idea and sue him before he brought them INSANE billions amount of wealth & moral redemption. Christian Bale is one great actor. Never thought Steve Carell can carry un-comedy act so well. A lesson we can learn from above is save some seeds and plant some trees.